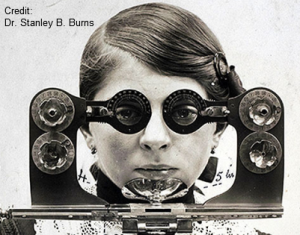 This is the mildest photo from a Gallery of Photos at CBSnews.com about EyeCare in the 1800s. In other news, researchers concluded that smoking acts as an appetite suppressant, explaining why people who quit smoking get fat. No crap, Clouseau?